"At first glance the AQ Audio SmartSpeaker may seem like a smart but somewhat unremarkable portable wireless/AirPlay speaker in the vein of the JawBone Jambox or Audyssey Lower East Coast." If you own any iDevices or like to wirelessly stream music from iTunes, the AQ's SmartSpeaker is a great modern looking unit you may want to take a good look at. 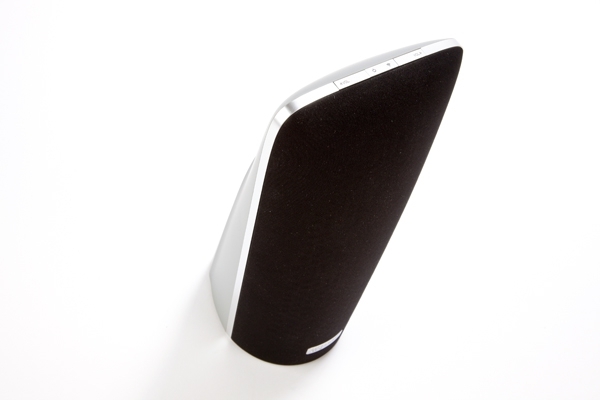 Unlike the JamBox, the SmartSpeaker eschews bluetooth for AirPlay. This change allows the SmartSpeaker to not only stream music from iPod Touches, iPads or iPhones but from iTunes as well. For those of you who do not want to use a device made by Apple, connection to the speaker is also available via the 3.5mm port. Android and DLNA support are in the works in addition to direct connect. No word if this capability will require a purchase of new speaker or will the hardware be capable of supporting the new firmware.